Just as Donald Trump’s Presidency seems set to signal the end of the same-old, same-old of American politics as we know them, so too the auction of a famous, and rare example of British coachwork highlights the end of another era. 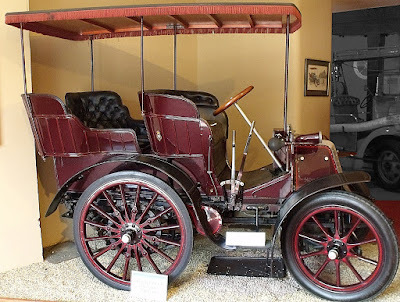 Influenced by the state limousines chosen by successive British Royal households, the existence of regal, upright and palatially-grand sedan cars, was a fixture of the British automotive scene for more than 110 years. The trend began in 1900 when Prince Edward 7th chose a 6hp Daimler (left) as his Royal Motor Car. 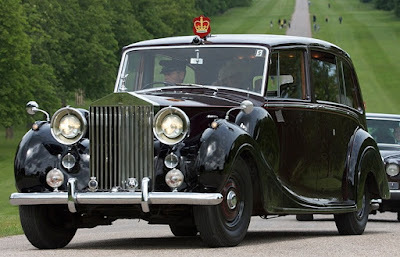 From that point on cars for the Royal garage featured hand-built coachwork designed to be impressive and intimidating, and to show off the occupants as they motored past. Reflecting their Victorian origins almost all of these cars were similarly designed, and the British upper classes soon came to consider the style as the only acceptable design for someone aspiring to the loftiest heights of British society. 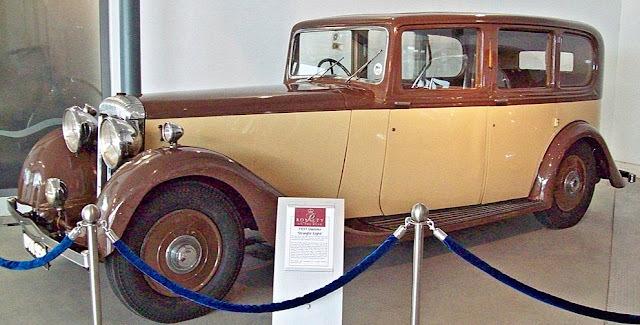 The brand most often chosen in the early part of the 20th century was Daimler, which were cars built in Coventry, England by a pair of Brits who licensed the rights to use the Daimler name from Gottlieb Daimler himself. However, British Daimler cars bore no similarities whatsoever to their German cousins. 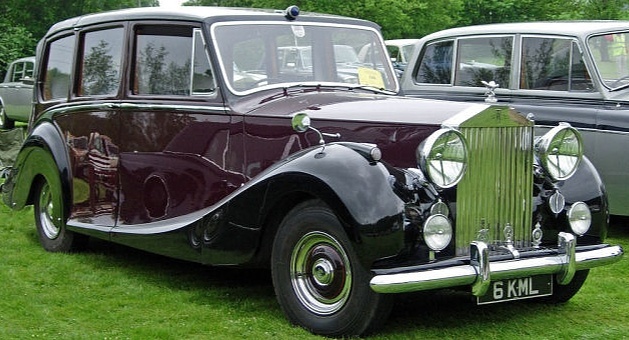 It wasn’t until 1954 when the Royal family acquired a Silver Wraith (left) that Rolls-Royces began to dominate the fleet. From that time on Rolls-Royce and Bentley Motor Cars of Crewe became almost the sole supplier of coachbuilt sedans. This Rolls-Royce Phantom 4 (right) exemplifies the accepted style of Royal cars. 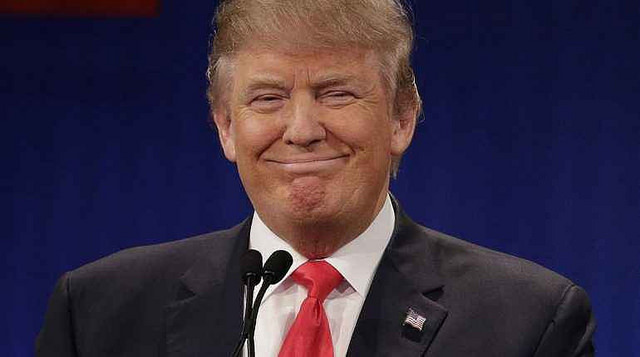 But everyone got into the act. 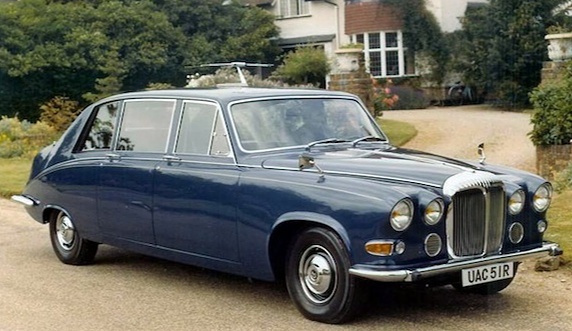 Daimlers, owned by Jaguar since 1966, morphed into a very conservative, stuffy, long wheelbase sedan which became the favourite among limousine companies in London, doing the airport run to and from Heathrow. Queen Elizabeth II no longer uses Rolls-Royces. 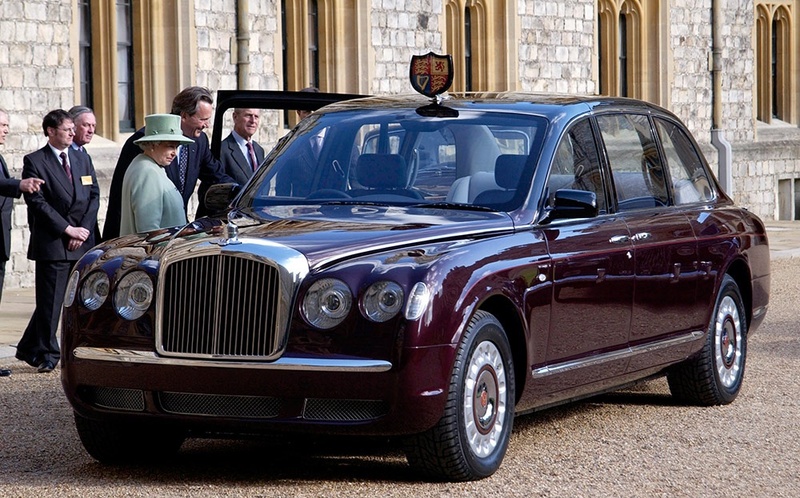 Her favoured transport is a custom-designed Bentley, provided to the Queen for her Golden Jubilee in 2002. She now has three of these Bentleys. However, the car which got me started on the death of the stately British limousine is not a passenger car at all. It is the Austin Princess funeral hearse, owned by John Lennon. 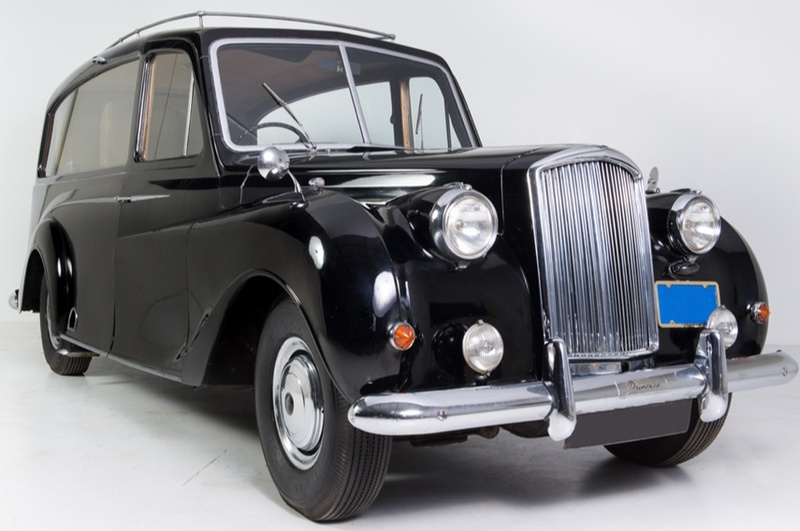 The Austin Motor Company introduced ‘The Princess’ in 1947, and its subsidiary, Vanden Plas, built cars with a range of different bodies until 1968. 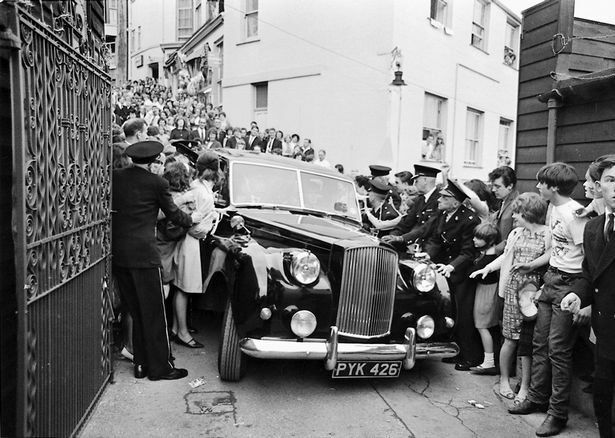 The 1956 hearse was acquired by Lennon in 1971 for use in the 1972 film “Imagine”. 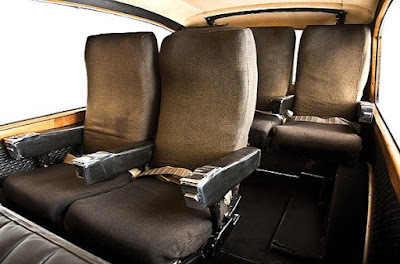 In typically eccentric Lennon fashion, he had it converted to passenger car use, by fitting two rows of aircraft seats, which reclined. He used the car right up until he moved to America, and later it was donated to the Rock & Roll Car Museum in Austin, Texas. It comes up for auction by Barrett-Jackson in Scottsdale, Arizona on January 14, and comes complete with Lennon's personally-signed registration paper. I just love these cars. I was finding some cheap custom essay for sale and some cars for sale and ended up here. Hope all of these cars find good owners.